Cotton/Viscose front, plain cotton reverse. We are in love with the Scarlett Velvet Duvet Cover Set, part of the latest stunning range from Ezibuy Home. 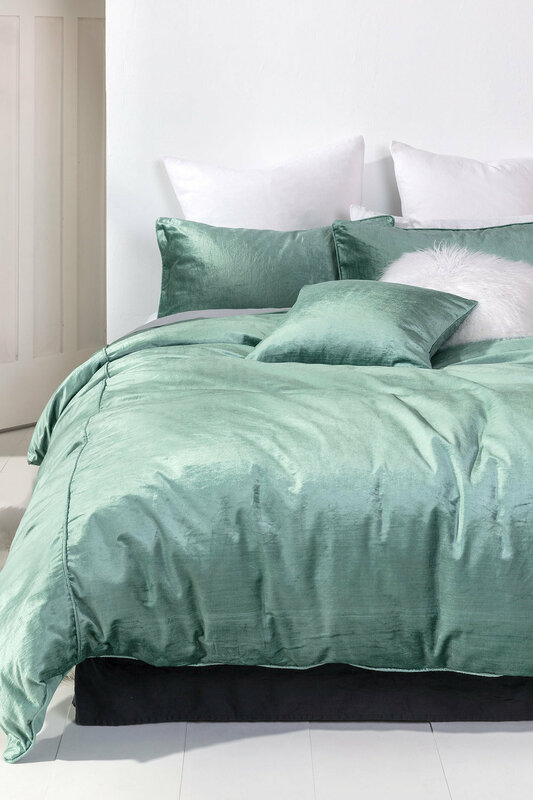 Available in pink and seafoam, this set is the most effortless way to add luxury and textural appeal to your bedroom. With a glorious feel on the front and a cotton reverse, this set will soothe you to sleep in style. 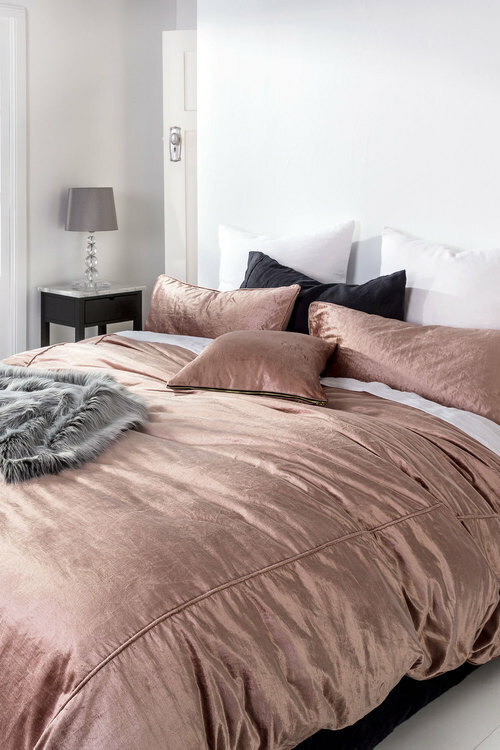 Pair with the matching cushion, adding the Alpine Faux Fur Throw and Hot Water Bottle Cover for the ultimate in bedroom luxury.